It’s overwhelming to be a first-time mom in this era. Baby gear, gadgets, and all kinds of products from left to right you’ll find online and in stores. Sometimes, you think you need all of them but you actually don’t. You only need the essential ones. A sterilizer is an essential gadget we look for. 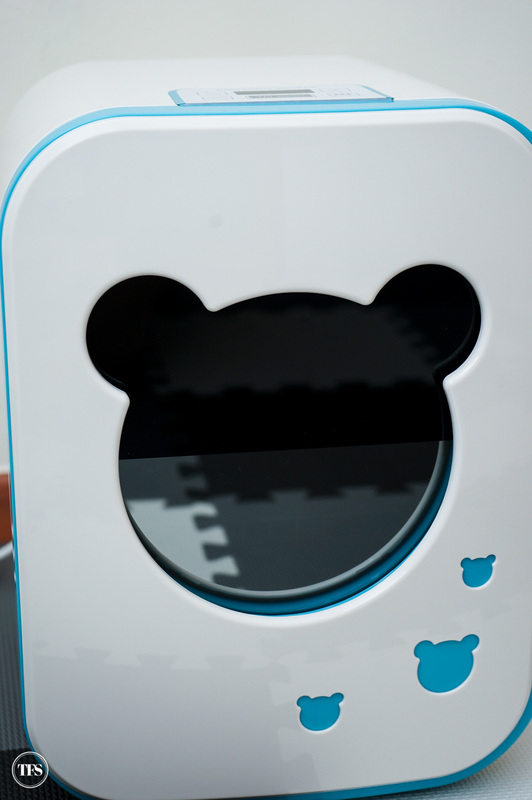 Whether you breastfeed or bottle-feed, every mom’s household needs a sterilizer for our fragile little one’s health. 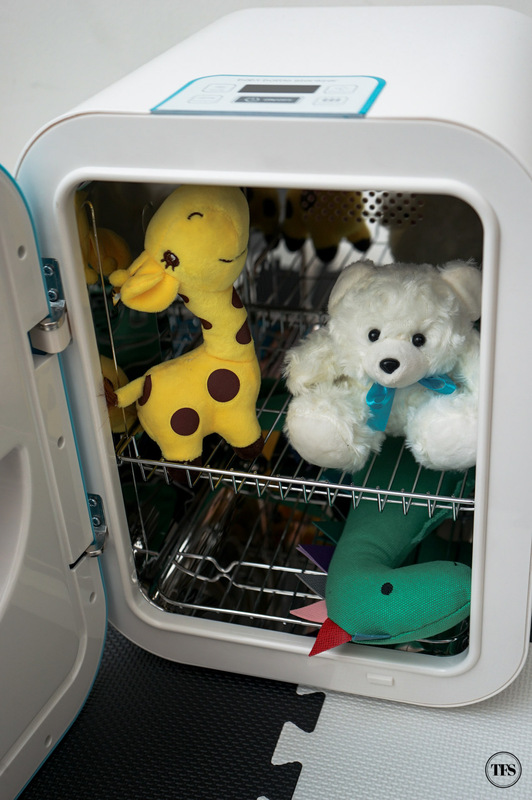 First-time moms normally get torn between a regular steam sterilizer versus a UV sterilizer. After trying both during the first month of Seb, I wouldn’t want to switch back to the regular steam sterilizer anymore. However, many moms are intimidated by UV sterilizers because of its price. It could be costly for practical families. If it’s out of the budget, moms end up letting go of the desire to purchase one. Good news! I found the cheapest UV sterilizer available in the Philippines. Let me share with you UVi Buddy Sterilizer. 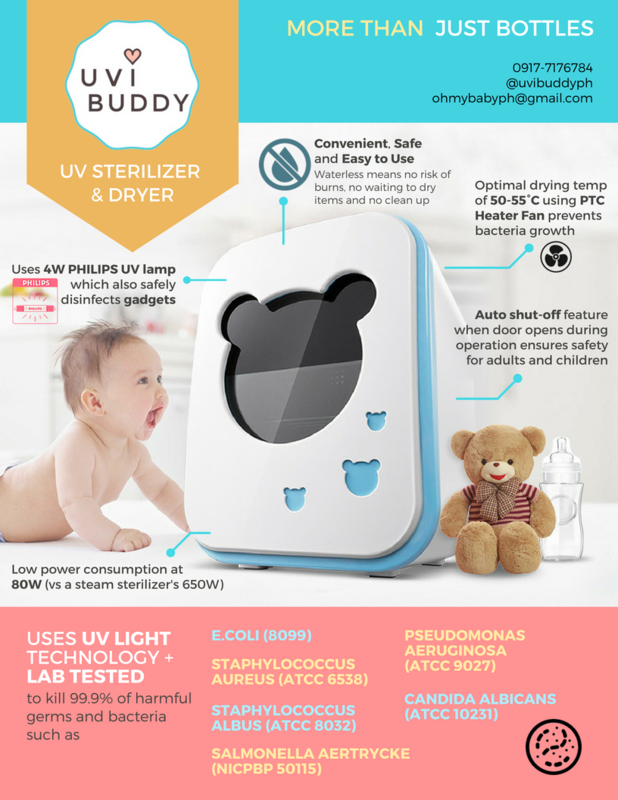 Developed by moms, UVi Buddy Sterilizer is a start-up local brand with the vision of creating products with the best value for money. 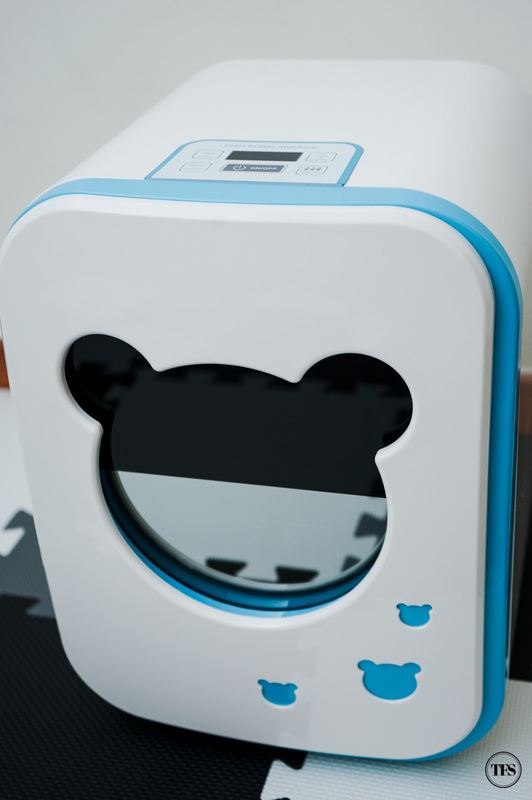 The product uses UV light technology to kill 99.9% of harmful bacteria such as E-coli, Salmonella and Staph. Using the sterilizer is made easy with its 4 essential modes – Auto, Drying, Disinfect and Safekeep. 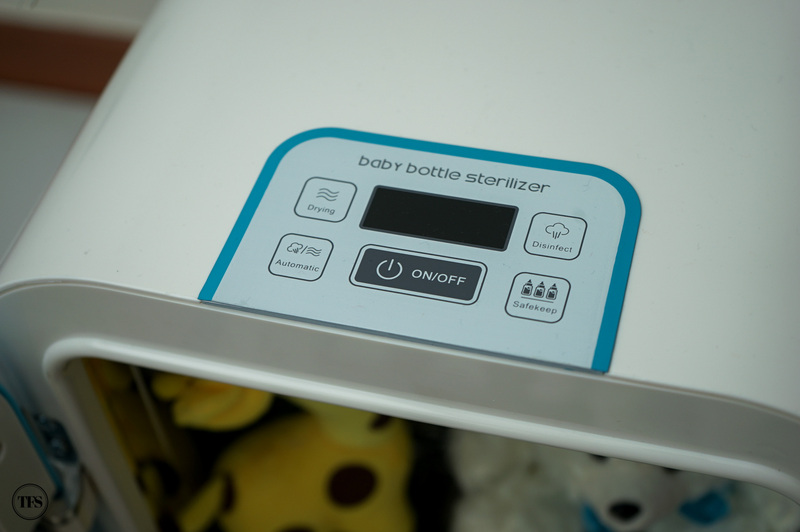 With its Auto feature, the sterilizer shuts off when door opens during operation to ensure safety for adults and children. Why Choose UVi Buddy Sterilizer? Price conscious moms will be thrilled to know that this is the cheapest UV sterilizer you’ll find online and offline. For the price of Php 7,450, sterilizing becomes instantly convenient without shelling out too much beyond your household budget. You also get to save money with its low power consumption at 80W versus a steam sterilizer’s 650W. 2: Kiddie yet elegant design. Moms who care about their home’s aesthetics will appreciate the minimalist style of this UV sterilizer. UVi Buddy’s design is minimalist and child-friendly at the same time. Whether you display it on top of your kitchen counter, your living room or your child’s bedroom, it won’t look out of place inside your home. Families who live in condominiums will appreciate the size. Compared to other brands, UVi Buddy Sterilizer is relatively smaller. If you have limited space, and worry where they can place the product. Compact yet functional in size as it can store up to twelve (12) feeding bottles. 4: UVi Buddy uses Philips UV lamp. 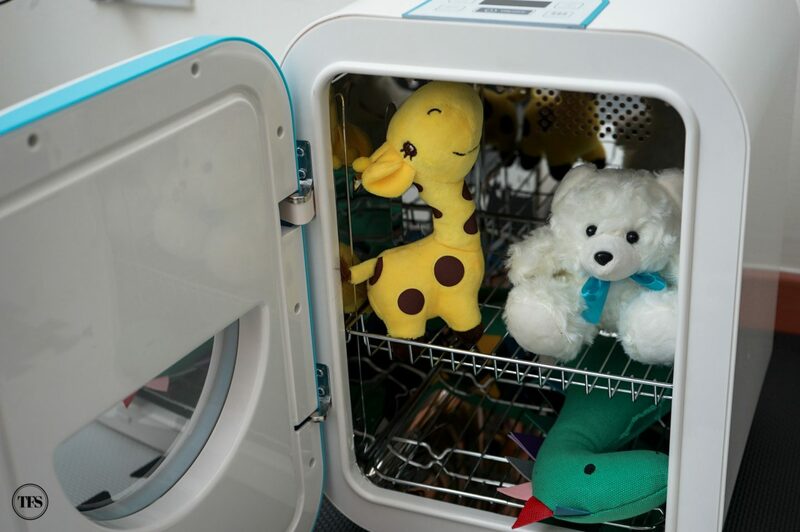 UV sterilizing means it is waterless and Philips UV lamp is used to sterilize your items. 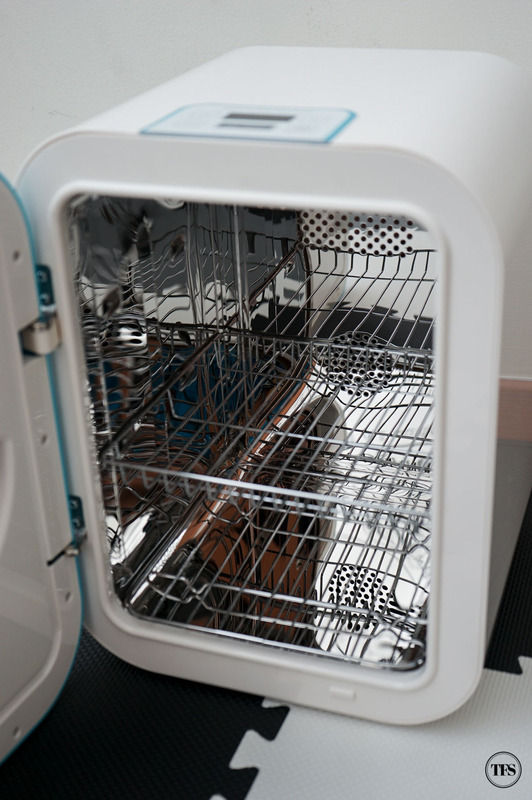 This ensures there is no risk of burns, no wasted time in drying items and no more descaling. Safe for anyone, especially kids. On the technical side, the lamp itself is manufactured in Poland. UVi Buddy’s UV lamp also retails at a friendly price of P600/pc. For proper maintenance, it is recommended to change UV lamps every 12 months. 5: Warranty and customer service matter. UVi Buddy gives one year warranty on any manufacturing defect. UVi Buddy has a strong customer service support. For any concerns and queries, customers are free to message UVi Buddy in their social media channels and even contact them through Viber. Their very friendly customer service team responds promptly. 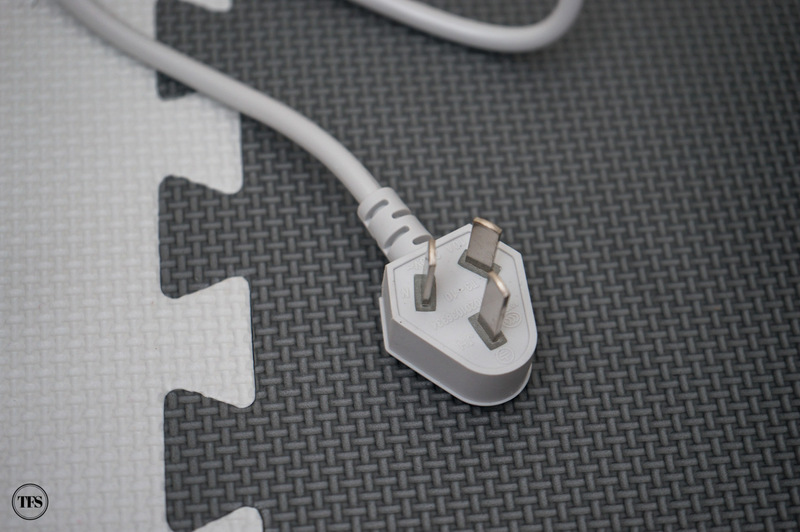 Take note that UVi Buddy UV Sterilizer is powered by this China three-prong plug. This means you’d need an adapter to use this device. If you’re looking for a UV sterilizer that will fit your budget and serves its purpose, I suggest you consider UVi Buddy Sterilizer. What do you think of UVi Buddy Sterilizer?